Target Corporation (TGT) operates general merchandise stores in the United States. 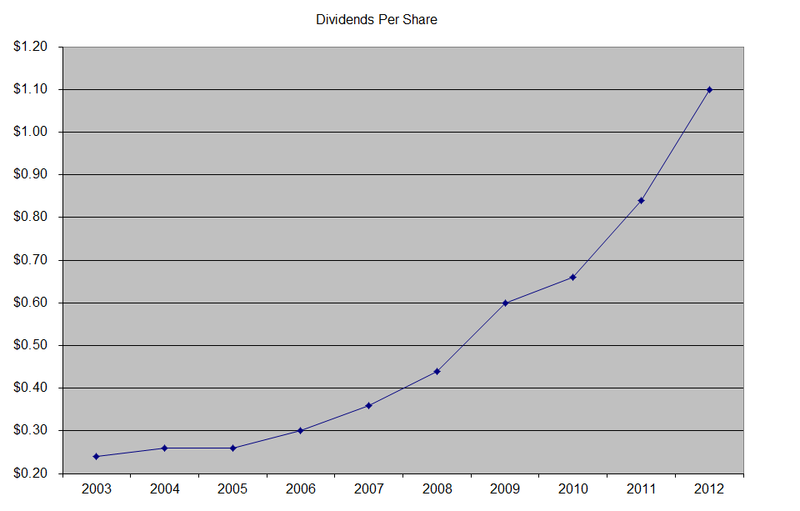 The company is a member of the dividend aristocrats index, has paid dividends since 1965 and increased them for 45 years in a row. 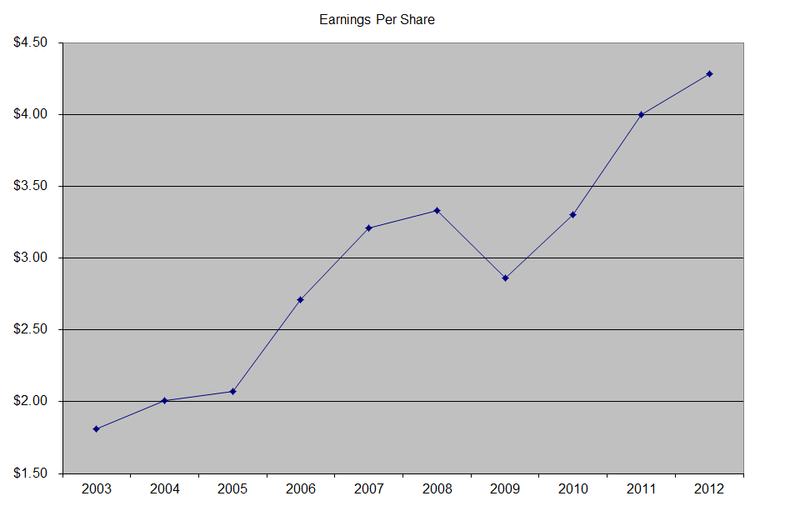 The company’s last dividend increase was in June 2012 when the Board of Directors approved a 20% increase to 36 cents/share. The company’s largest competitors include Wal-Mart Stores (WMT), Dollar Tree (DLTR) and Costco (COST). 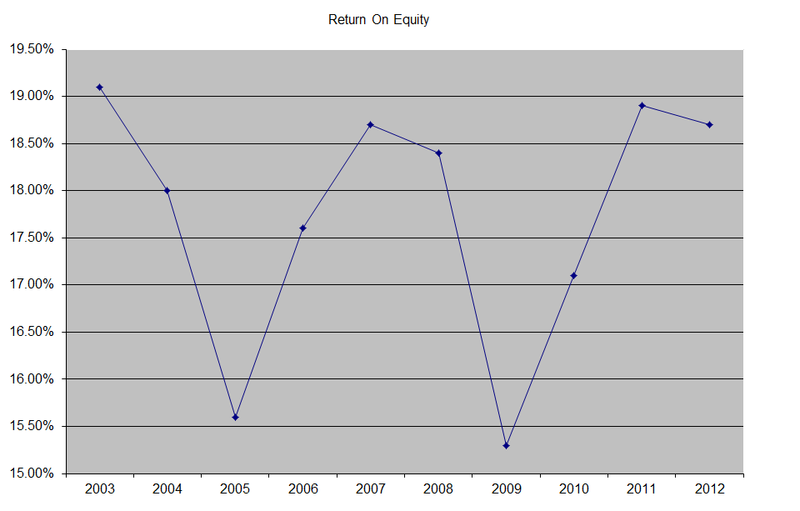 Over the past decade this dividend growth stock has delivered an annualized total return of 6% to its shareholders. A 17.50% growth in distributions translates into the dividend payment doubling every four years. If we look at historical data, going as far back as 1988 we see that Target has actually managed to double its dividend every six years on average. 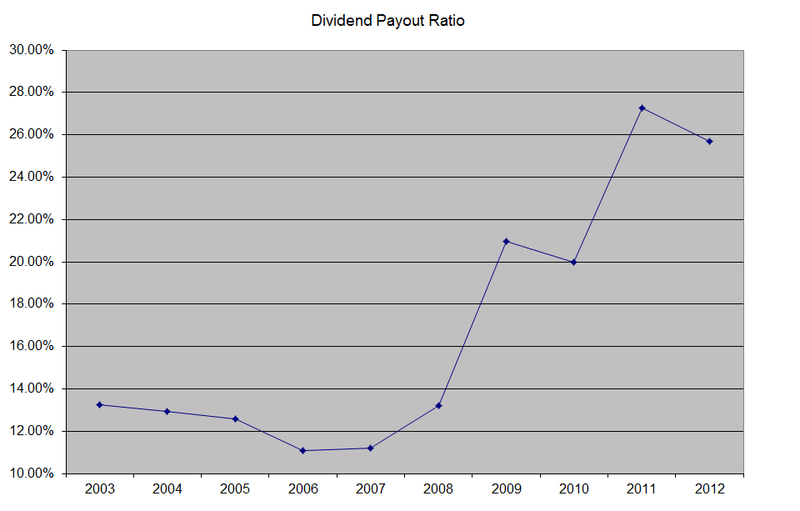 The dividend payout ratio has increased from 13.30% in 2003 to 25.70% in 2012. The expansion in the payout ratio has enabled dividend growth to be faster than EPS growth over the past decade. A lower payout is always a plus, since it leaves room for consistent dividend growth minimizing the impact of short-term fluctuations in earnings. Currently, Target Stores is attractively valued at 14.40 times earnings and has an adequately covered dividend but only yields 2.30%. In comparison, rival Wal-Mart (WMT) trades at 16.10 times earnings and only yields 2.10%. Target could be a decent addition to a portfolio on dips below $57; however Wal-Mart (WMT) continues to be my preferred way to play big box retailers.